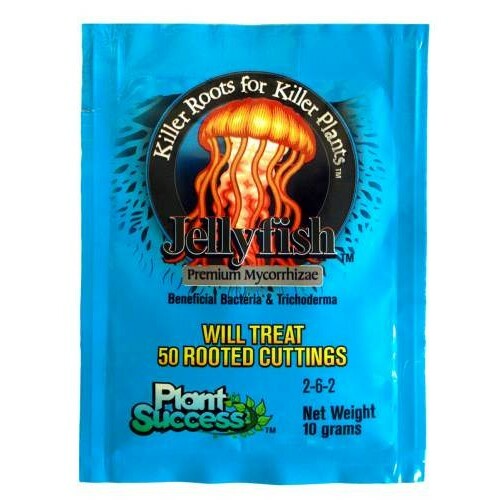 Jellyfish root inoculant binds highly effective beneficials to your transplant roots and keeps them moist and fed in the critical establishment phase. Contains a blend of mycorrhizae, nitrogen fixing and beneficial bacteria, seaweed, humic acids and vitamin B1. Lessens transplant shock, feeds your plants, and ensures maximum beneficial establishment.